As new technology, new regulations and aging infrastructure continue to change the landscape of joint use, it becomes increasingly important for key stakeholders to foster open dialogue and collaborate to solve shared problems, focus on safety goals, and ensure the equitably of poles and other utility assets. Considered the premier joint use conference, content is designed for representatives from utility, telecomm, wireless and broadband companies; as well as consultants and service companies who deal with joint use, pole ownership and attachments. The conference format provides a unique mix of presentations, dynamic power table topics, vendor displays and networking opportunities to exchange information and best practices. Registration price increases $100 after August 20, 2018. Registration includes comprehensive conference materials, all sessions, power tables, and all food events. Join us for an unforgettable experience golfing at the UNM Champion Golf Course, Albuquerque's #1 golf course. The Championship Course flashes a personality all its own with fairways that stretch out long and wide, bobbing up and down, both right and left. To make the most enjoyable experience we will start earlier in the day and end around 2:30 pm. Your registration will include greens fee, cart and range balls. The course offers a grill and beverage cart. You can contact the club to reserve rentals clubs at 505-277-4546. (you can make these 2 weeks out) Cancellation policy is 30 days out with no refunds after August 18th. Join us for a cruise around the streets of ABQ making stops at local brew pubs. You will stop at three of Albuquerque's most popular breweries, where you will experience some real local flavor. Transportation will be provided from the hotel to downtown and back. You will be in a private van cruising the downtown area, sample beer at each local brewery, and includes food along the way. You will return to the hotel in time to freshen up for the evening reception. Cancellation policy is 30 days out with no refunds after August 18th. Speaker(s): Chris Olson, Senior VP Utility Operations, PNM Resources Inc.
Back by popular demand! Joint Use 101 will break down the basic physical materials involved in Joint Use. A must for those who are new to the Joint Use industry and those who are not frequently working in the field and want a refresher. Electric utilities currently take an active role in the communities they serve, so it is in their best interest to partner with law enforcement efforts to improve community safety. This session will provide safety, operational and legal items for consideration regarding attachment of surveillance cameras and associated equipment to Electric Distribution poles. Each vendor will get 2-3 minutes on the main stage to give an introduction to their company and a quick overview of their product/service. This is your opportunity to see what is new and who you may want to visit extensively with during the display times at the conference. Collocation of wireless facilities has been proceeding for a while in some areas and becoming part of the Joint Use process. The advent of small cell technology is rapidly increasing this transition and expanding its application beyond the distribution pole. Street Light poles and distribution pole mounted street light arms have become an attractive location for Small Cell, Utility Automated Metering and Wi-Fi devices to reside. A panel of experienced utility professionals provide examples of how this change is progressing and impacts to their street light and joint use businesses. The huge demand for ever increasing data are pushing wireless networks to their limits, which in turn has spawned the development and deployment of “small cells” to handle that demand. Small cells are designed to utilize existing structures in RoW, street lights, traffic signals and utility poles, yet often require replacement or significant modification to those structures. Enter a new means of deploying nodes – mounting on the fiber strand which provides the connectivity (backhaul). This session will provide examples and experiences of both network and pole owners from some of the early strand mount deployments and discuss the challenges faced by each. This year's conference will feature power tables in four rooms. Find the topic that interests you most. The format is informal and some power tables topics will be repeated. At the end of the session, move on to the next topic of interest. Content may vary slightly depending on the those sitting around the table and the questions asked. Each session is 50 minutes facilitated table topics with 10 minutes in between. Speaker(s): Tormod Larsen, Nichole Bates, Sr. Joint Use Field Operations, Tampa Electric Company, Valerie Murray, Program Administrator, Kansas City Power & Light Co.
A utility discusses challenges to getting small cell networks deployed. From gaining acceptance within the company to determining fair rates. Adjusting standards to accommodate attachment locations on the pole (Pole Top, Supply, Comm). Getting power to the sites and the question of metered verse unmetered. Having to match up with existing utility workloads and construction resources. Identifying utility timelines (application review, engineering, construction scheduling) and those for jurisdictional permitting timelines. Make Ready work and lessons learned when installing the small cell equipment on the poles from a construction aspect. Find the topic that interests you most. The format is informal and some power tables topics will be repeated. At the end of the session, move on to the next topic of interest. Content may vary slightly depending on the those sitting around the table and the questions asked. Each session is 50 minutes facilitated table topics with 10 minutes in between. Our most anticipated and popular session year after year. This distinguished multi-industry panel of attorneys will provide you with the opportunity to openly participate in a stimulating conversation on our industry. Find out from varying perspectives what you need to know about current and impending regulations, recent court rulings and what you must have on your radar. Sponsored by Varasset/NJUNS/Osmose Located at 6600 Menaul Blvd, NE, just a short walk from the hotel. Speaker(s): Ernesto Vega Janica, Sr. Manager, Opportunities Development, ATG Consulting Inc. The IEEE group that is being established will be a venue to address the growing issues associated with joint facilities utilization. The joint-use of facilities has been managed thus far in an isolated and inconsistent manner with different utilities, regions, and communication companies. The deployment of 5G, IoT and autonomous vehicles will create a dramatic increase in joint-use requirements that current systems are not setup to handle. All are welcome and Program Development Team is encouraged to participate. Please contact the hotel directly at (505) 881-0000 to reserve your room. Identify yourself as being with Western Energy Institute and use the discount code ‘Joint Use’ to receive a special rate of $139 USD/night. This rate is guaranteed until August 20, 2018 or until the WEI room block is full. All networking events are scheduled for Tuesday, September 18, 2018. Join us for an unforgettable experience golfing at the UNM Champion Golf Course, Albuquerque’s #1 golf course. The Championship Course flashes a personality all its own with fairways that stretch out long and wide, bobbing up and down, both right and left. To make the most enjoyable experience we will start earlier in the day and end around 2:30 pm. Your registration will include greens fee, cart and range balls. The course offers a grill and beverage cart. Join us for a cruise around the streets of ABQ making stops at local brew pubs. You will stop at three of Albuquerque’s most popular breweries, where you will experience some real local flavor. Transportation will be provided from the hotel to downtown and back. You will be in a private van cruising the downtown area, sample beer at each local brewery, and includes food along the way. You will return to the hotel in time to freshen up for the evening reception. Vendor Display Only prices increase $100 after August 20, 2018 and includes a skirted table in the display area, and food functions associated with display schedule. Vendors that wish to attend presentations and power tables should select the Conference Registration + Vendor Display option. Conference Registration + Vendor Display price increases $200 after August 20, 2018. This registration includes full conference access and includes you as the main Vendor Display Representative with one skirted table in the Display area. Arrangements for power, audio visual equipment, or other supplies may be made by calling the hotel directly. A Vendor Assistant registration is added to a vendor display registration and includes welcome reception and two receptions with vendor displays. Other food events are excluded from this pass. Arrangements for power, audio visual equipment, or other supplies may be made by calling the hotel directly. You can also use the hotel supplied credit card authorization form and exhibitor order form to make your arrangements. For more information contact Diana Zoren at 971.255.4965. Thank you to our session sponsors! Karen graduated from Texas Tech University in 1998 with a bachelor of science in Electrical Engineering. She has worked in the Oncor distribution business for 20 years and as Oncor’s Joint Use Manager for the last 14 years. Before managing Oncor’s Joint Use group, she worked in the distribution operations dispatch center, then distribution engineering design and next, managed distribution feeder maintenance, as well as other special projects. As the Joint Use Manager, Karen is responsible for joint use customer relations, regulatory and legal matters, pole attachment policies and procedures and management of Oncor’s permitting contractor. 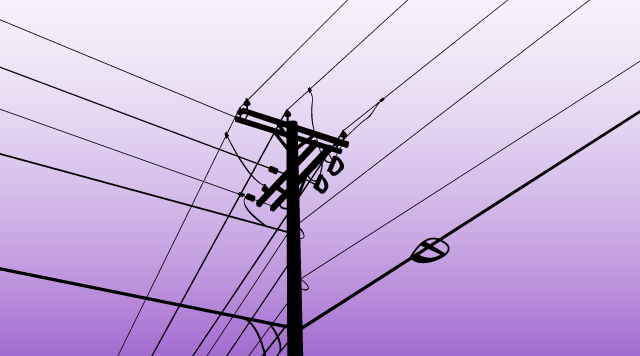 Jeff has over 30 years combined experience in the Telecommunications and Electric Utility industry. Jeff is currently Director of Distribution Support for PacifiCorp, responsible for Joint Administration for Pacific Power and Rocky Mountain Power in six states. Prior to his December 2008 arrival at PacifiCorp, Jeff worked for Qwest and its predecessors for 30 years holding numerous positions in the Construction & Engineering Department. The last five years at Qwest Jeff served as single point of contact for the Oregon Public Utilities Commission Safety Staff and Oregon pole occupants on all issues related to the Joint Use of Poles. Jeff’s been a member of the Oregon Joint Use Association’s Board of Directors since 2004, was President in 2007, and currently chairs the association’s Dispute Resolution Committee. Jeff attended the University of Oregon and Portland State University and has a B.S. in General Studies Science.